Leading Exporter of tvs wego, tvs scooters, tvs scooty streak and tvs scooty pep from Mumbai. TVS Wego is a unisex scooter and is based on the concept of body balance. Its metal body ensures high durability and toughness. Body balance technology combines ergonomic design with a unisex system to ensure high manoeuvrability and stability under all road condition as well as different riding style. TVS scooters offers best in class mileage and technology that is second to none. 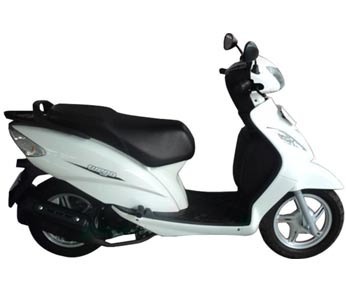 It scooter are built well in accordance with the needs and safety of the rider and metal body ensure high durability and toughness. 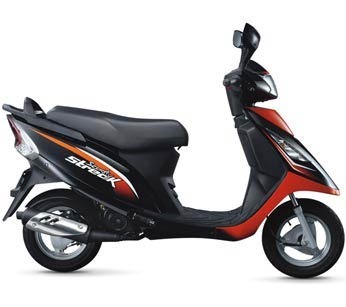 Our range of TVS Scooters includes TVS Scooty Streak and TVS Wego. Wego is based on the body balance technology with a unisex system that gives high maneuverability and stability. The Scooty Streak has a litech engine, which makes the Scooty Streak lighter, fast and easy to manoeuvre. These bikes are available in different shades and features. TVS Scooty Streak comes with a Litech Engine, which makes the Scooty Streak lighter, fast and easy to manoeuvre. The bike has and in-built mobile charger that lets you charge your phone on the go. Its stylish LED lamps makes it the only scooterette in the country to sport these beauty. 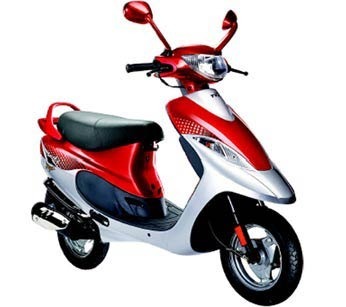 Easy and comfortable to ride, TVS Scooty Pep is ultimate choice for women. This two-wheeler is acclaimed for trouble-free riding in various road conditions with good mileage. These two-wheelers are elegantly designed in different attractive colors with user friendly looks, LED lighting in storage area, attractive front apron & rear panels and easy-reading speedometer cluster.